We think the LG G5 is one of the most unique smartphones that has launched in the last few years and whilst LG has dropped a few selling features from it’s LG flagship in 2016, it’s added a whole range of new features that make it a worthwhile purchase. In this article we discuss 5 unique LG G5 features. We’ll start with the less obvious ones before moving onto the more known killer features. LG is launching the G3 Stylus, a competitor for the Samsung Galaxy Note. The new G3 will be a variation of the G3 flagship, coming with an additional stylus pen, a 5.5” diagonal, a 13MP camera, 1.3GHz quad-core processor, 8GB of internal memory and a 3000mAh battery. You can unlock your LG phones here. Leakers are always on the move when it comes to top gadgets and this time evleaks revealed that the sequel of LG G Flex will be on the market on the first quarter of 2015. The new “fluid smartphone” is said to incorporate even a more out of the ordinary characteristic than the self-healing back cover of the current LG G Flex. To get unlocked your LG G Flex please click here! It seems that a big event has been announced by LG to take place on the 27th of May in London, and through satellite also in San Francisco and New York, without confirming its exact purpose but being rumored as the launch of the new G3 flagship and also of the new G Watch. To get unlocked your LG G3 please click here. 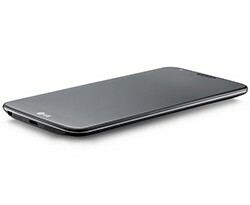 The new flagship phone for LG in 2014 is going to be the LG G3, planned for release around May or June, as the rumors say. The G Pro 2 was already released at the beginning of this year but that doesn’t prevent LG from planning a new high-end device for the market. 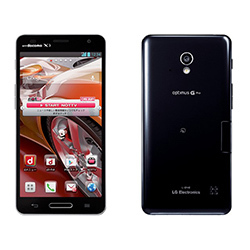 This event should hopefully tell customers about the launch date for the new LG Optimus Pro, and what cities and regions the handset will be purchasable from. LG will most likely go over the features and functionality for the final time before revealing the launch date, which according to rumors will be on May 10th for AT&T.